"Thank you for being an amazing part of our day. We couldn't have asked for anything better." Victoria. Thank you for your kind words Victoria, we are delighted to have been a part of your amazing wedding day! 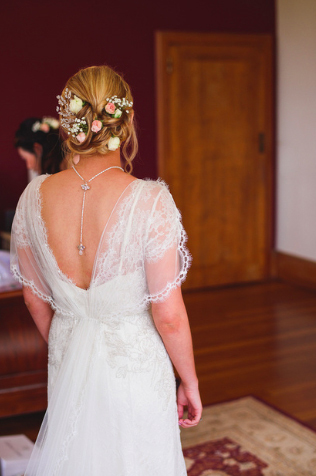 Victoria chose to wear Novia Hairpins and Deco Back Necklace on her wedding day! So beautiful! Lovely photography by Sam Gibson Photography.